SaaS stands for Software as a Service and it is a software licensing and delivery model in which software is licensed on a subscription basis and is centrally hosted. 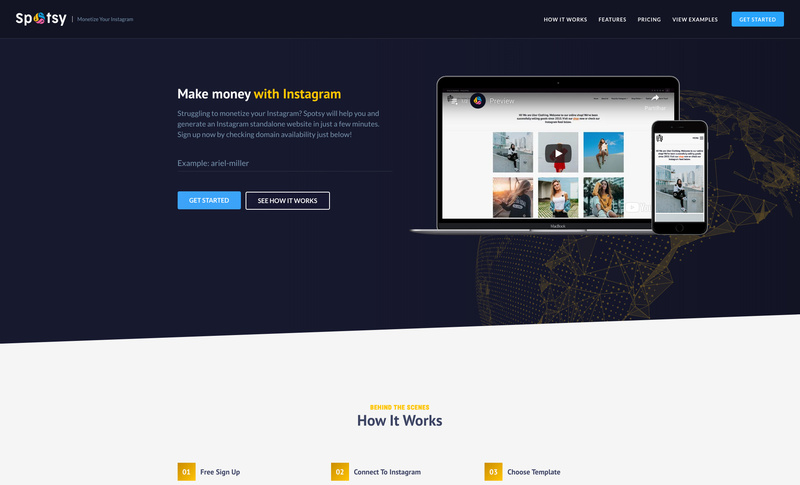 Spotsy – Monetize Your Instagram – is powered by WordPress and I decided to follow this approach to have full control over the features available. I also wanted to make the onboard process really quick and easy which would not be possible if the software was distributed, because it will have to be installed. 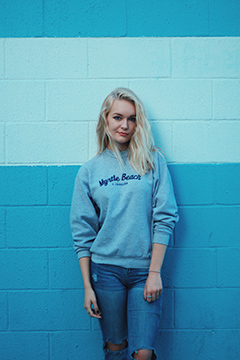 It is a web service that allows any Instagram user to create a website in less than 5 minutes. Besides having immediately a fully customizable and cool website, users will be able to make money by adding links to their Instagram posts. Why I decided to build it? I’ve been developing WordPress themes since 2012. I’m also doing custom work for local and remote clients pretty much since I started. Fortunately, I’m not tired of doing it, but 2 or 3 years ago I started thinking that I wanted to try different ways of doing online business. So, I began writing ideas for web services every time they came to my head or when a customer asked for a feature that wasn’t available yet. Considering Instagram’s popularity, the idea behind Spotsy.me seemed the most appealing. With all the time that has been invested so far, I really hope that people actually start using it and find it useful. After months of development, today is basically “day 1” and I’m keen on getting some feedback from real users. The more I read about this type of software/projects, the more I see that it is really hard to be successful. I know that there’s a tough road ahead, but I’m confident that the journey will be gratifying! I’ll be writing more about this project in the next weeks. Any feedback is welcome so please use the form below if you have any comments or questions about this. 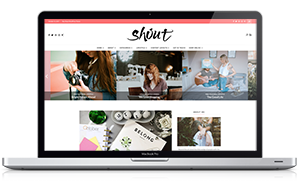 Interested in my latest WordPress Themes? Web enthusiast since ever and full-time Web Designer since January 2012. Delivering Premium WordPress Themes and freelance work to clients worldwide. 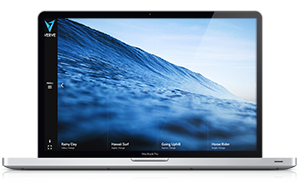 Over the last years we created 16 WP Themes and performed hundreds of customizations on Themes and Plugins. We also built a large number of websites for clients all over the world. This website and all our theme demos are proudly hosted at Siteground. 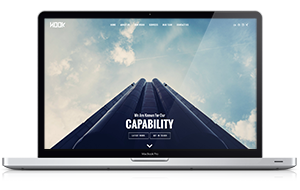 This website was built with Hook WordPress Theme. Struggling to Monetize Your Instagram account? Please check our new product: Spotsy! It is a free web service that allows any Instagram user to create a website in less than 5 minutes.